I had fully intended to read my #FRC2015 selections hugged closer to the months of Autumn and early Winter, however, my dear hearted readers of whom have caught my posts relating to circumstances which wicked out hours and derailed my attempts to read along with the rest of the book bloggers who took up the same challenge are already in the loop realising my readings of these stories will come quite a bit later than planned. This marks my fourth review overall spilt between #SRC2015, #ReadingIsBeautiful and #FRC2015, however, it is the very first Fall Reading Challenge selection I am reading as blessedly I was encouraged to ‘reverse the list’ in order to best highlight the books being highlighted between Autumn 2015 and Winter 2016. I am simply happy to be in a position to lay heart and mind inside the stories I’ve dearly wanted to read and now can give them my full attention! I elected to read “All In Her Head” via the complimentary copy I received by BookSparks as the library copy I had requested is happily being read by other patrons. By participating in the #FRC2015 challenge I am reading the novels in exchange for my honest reviews; whether I am receiving a complimentary copy or borrowing them through my local library. I did not receive compensation for my opinions or thoughts shared herein. 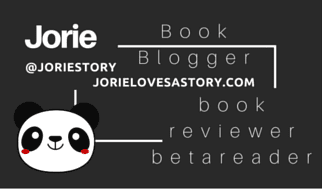 As a book blogger, one of the things I recognise that helps me grow as a reader is to be open-minded about story-lines, character journeys, topics and subjects that might continuously push me outside my comfort zones to endeavour to read. There is a reading challenge I found in 2014 called Mental Health Awareness Month which I had wanted to join a part of but ending up following a fellow book bloggers on their journey inside the books which would celebrate the theme of the challenge. The diversity of choices these bloggers elected to read and how they in-turn blogged about their experiences never left my conscience as part of why I happily shared my views about #EqualityInLit during the #AtoZChallenge of 2014 was to capitalise on how wide a range Diversity and Equality in Literature truly reaches. 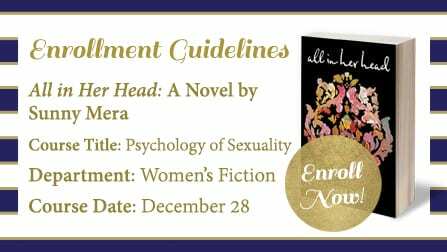 Therefore, when I came across ‘all in her head’ on the listing of choices for the Fall Reading Challenge via BookSparks my interest was piqued and I decided to add my name to the list of book bloggers who would be interested in reading this selection. At the same time, I was mindful of how many friends throughout my life have been affected by mental illness and have striven to seek a better state of mental wellness; as nothing is as clear cut as it may first seem when it comes to the psychology of a person’s health. I champion writers who have a personal conviction towards writing Mental Health issues into their stories as much as the writers who have a personal experience with Mental Health which encourages their creative voice to give a more honest and authentic touch to the stories they are creating to share a bit of insight into their life and world. Previously, I have touched subjects where characters felt they were in the middle of an insurrection where they had to live through or move past a life moment which carried with it a resounding affirmation of how to rise above your tribulations through a buoy of hope as read inside: Etched On Me by Jenn Crowell (review); The Language of Hoofbeats by Catherine Ryan Hyde (review); Chain of Mercy by Brenda S. Anderson (review); The Summer of Chasing Mermaids by Sarah Ockler (review); Hannah Both Ways by Rosie Greenway (review) and Some Other Town by Elizabeth Collison (review) wherein characters were attempting to work through a life obstacle which tested their strength of will. Prior to re-beginning my readings of BookSparks selected authors and stories across genres, I have found a newfound appetite for Feminist-driven stories evoking an honest portrait of women’s issues and rights being explored in fiction. 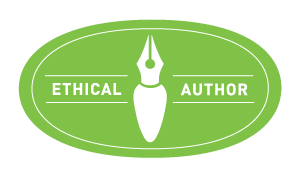 This new appreciation of mine is best seen on my recent reviews of The Renegade Queen by Eva Flynn (review), The Particular Appeal of Gillian Pugsley by Susan Örnbratt (review), Emmy Nation: Undercover Suffragette by L. Davis Munro (review) and Daughter of Destiny by Nicole Evelina (review). Acquired Book By: I was selected to be a tour stop on the “Taking the Cross” virtual book tour through France Book Tours. I received a complimentary copy of the book direct from the author Charles Gibson, in exchange for an honest review. I did not receive compensation for my opinions or thoughts shared herein. Charles Gibson first started reading about history and geography when he was seven. He wrote his first short story at the age of nine. He continues to read and write whenever he can. Charles has spent many years researching the Middle Ages and the Crusades, and has traveled to the Languedoc region in France. He has combined the passions of history and geography and prose to finish his first novel, Taking the Cross. It takes place during the summer of 1209 in France. Charles Gibson has previously written for the inspirational book series God Allows U-Turns as well as for a Minnesota newspaper. He also works as a project manager for a medical device company. He also loves travel writing, and would like to start his own magazine some day about travel as a journey through life. The dominant theme of his writing is freedom. War is always a brutal affair, but the Crusades always felt anguished a bit more fiercely to me than most battles forged and fought prior to their beginning and long since after they were quelled. The Crusades were layered with rife – a history of existence that set them apart for their breadth and depth of importance, yet what I always felt at the heart of the Crusades that had fallen a bit out of view were the people who lived through them. The people whose battle cries might never have been heard, as so very few of the commoners were able to survive the brutal surges of where the knights and the armies had gathered together to fight for what each side of the warring factions felt were the reasons for the engagements themselves. Each side was just as fiercely loyal in their approach and in their reasons for fighting that the ability to unravel where everyone stood and why they fought for what they believed in must have been an incredible archive of knowledge for those who transcribed the Crusades originally! I could not even put to thought how many hours it would have taken to go over the testimonies left behind nor the oral histories mixed into the journals. The original historians and scholars who unearthed the particulars will forever have my gratitude and mark of appreciation, as they left behind a tome of insight and a lot of unanswered questions. I was always a bit curious to seek out the stories of the everyday citizens who were caught betwixt and between the Crusades themselves, as much as I oft wondered how the battles during the Civil War must have had repercussions for those who lived so close to where the individual battles were fought, won, or lost. War has a lot of layers threaded through it and the humanity of who was caught in it’s sight were always a keen interest of mine to research. Gibson doesn’t back down from arriving the reader straight into the heart of the battle of where this particular story alights during the Crusades of the 13th Century. An ordinary road in the Languedoc region of France has become a battle-scared visage of the reality of a young knight’s life of attempting to not only fight for his people’s religious freedom but to draw out a measure of honour whilst creating a life in service to his countrymen. We meet Andreas in full arrogance of not understanding his Viscount’s interest in the refugees who are on the road to escape further persecution and attack from the outsiders. What Andreas perceives as wasted time, his leader views as a measure of mercy to those under his guidance and rule; inasmuch as an opportune exchange of information that could become necessary to have lateron. The section where Eva is first introduced to us, is one of my favourites, as we see her as a woman of twenty before her thoughts and re-collective memories take a stronghold in the text. From thence we find her as a young girl of ten, of whom is listening to her Mum tell her about the Beguine community as much as the benefits of being a Beguine woman can have in the age of where women had less freedom than they do today. Old English words and French words are interspersed throughout the story, but none of them are intrusive nor distracting to the reading Taking the Cross as I give full credit to Gibson for utiltising their inclusions in such a natural way of understanding their meanings. When Eva disclosed her visions and her second sight starting to emerge out of anguished sorrow, I felt a murmuring of Hildegard echoing through my heart. Eva’s character for me was the channeling center of the story, as her path in life was quite a unique one to step into as she was given certain gifts which afforded her a great purpose throughout Taking the Cross. Each step of the way, as we unlock hidden glimpses of her patronage and settle inside the ruminations of her own heart, soul, and spirit, we start to acknowledge that she has been given an enlightenment of knowledge not always etched onto a person of her birth. Eva’s courage and her fortitude to rustle out information that gave keener insight to unravell a bit of the puzzling circumstances her region was undergoing provided a bit of foreshadow as much as intrigue. Eva’s best gift as a character is giving the reader a way into the soul of the story itself — to ground us in the suspense and the tentacles of unlocking where this part of history has such a hard time in asserting it’s voice. The usage of honeybees in the undercurrent context of warfare and alertness towards a humming awareness of how an attack can come without warning was a bit of cleverness on the part of Gibson. I have a fondness for bees myself, but evenso, I know they can be used against their natural will to effectively mark terror on those who would never suspect a bee could do more harm than good. The method in which the bee’s are used is a viable option as most of what is considered medicinal can be turnt against us if darkness erodes through the light. Another vein of the intellectual mystery that acts like a shroud over the characters caught in the web of both deceit and war. There is a pursuit within this novel that is not entirely circumvented by the turnt of the last page, as this is meant to be the first jaunt of a series forthcoming — yet within the chapters of what is revealed is a daunting task to undertake a challenge of shielding the world from a great darkness that never should be unleashed or contained. There are many elements of what could be viewed as paranormal activity threaded throughout the story, but they go to a greater cause to not only alarm the reader of what was at stake during this particular Crusade but what this Crusade might have been on the throes of uncovering. Not everything that is once lost is lost to time nor can everything that becomes lost be in need of finding. Gibson gives his readers a taut eclipse of a narrative that begs you to delve further into his next writings in order to glimpse the full scope of what he is giving us to read. This is an incredible debut novel because the suspense continues to heighten and pull you deeper behind the veil of what you once thought the story was writ about rather than what is starting to become revealed at it’s conclusion. By saying ‘historical artifact’ of a style on behalf of a historical fiction writer, in this particular sense I am referring to the fact that Gibson has a singular passion for the historical past (especially in regards to the Medieval era), and picking up his tome of work is like uncovering a historical artifact at an archaeological and anthropological dig! The way in which he has the keen insight to etch in the facts concurrent with the narrative pacing of his story allows the reader to settle inside this oft overlooked era of intriguing history and become quite attached to where his muse is leading him to take his readership! It is a difficult balance to achieve, because the Crusades are heavily writ about throughout historical fiction (across mainstream & inspirational markets of literature as much as across platforms of major trade & indie releases) — yet, I found a truly original voice in Gibson’s style reflective of his passion for freedom for all people and in all ways freedom is not only necessary but an innate right of everyone to have in their life. This is the second author who pens a style of historical fact into historical fiction on an era of history that is lit aflame with realism. The first author (George Steger) penned: Sebastian’s Way: the Pathfinder, another very unique find that breathes a lot light out of darkness inside it’s story. Although there are instances of war visuals inside this early chapter of the novel, I cannot say that Gibson crossed the line as far as what I can handle or not handle as far as what a war drama would include inside’s sleeves. He sharpens the bow of imagery just enough to give you the full experience of being on the ground where the knights are engaged, but he doesn’t bridge that gap with full-on imagery that would be too horrific to read. In this, I appreciate his dexterity and exclusion! I was also thankful that I had read Citadel prior to Taking the Cross in order to have an understanding for the region in which the story is set. Two different war dramas during two pivotal times in history centuries apart, and yet, the fight for freedom remained ever present. I shall have to keep vigilant in knowing when the second novel of this series is released! I will be featuring an Author Interview with Charles Gibson on the tour in forthcoming days!